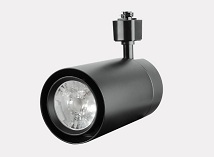 With different finishes such as black, silver and white, this energy-efficient linear track head is the great alternative to traditional metal halide track light fittings. Created with advanced technology LED light source, it presents optimal luminance while consuming little power with a high energy efficacy of up to 120LPW. Besides, our such track head fitting comes with modular, recycling and detachable design that's convenient for replacement of interchangeable lighting parts such as led driver, led engine, connectors and adjustable light lens. 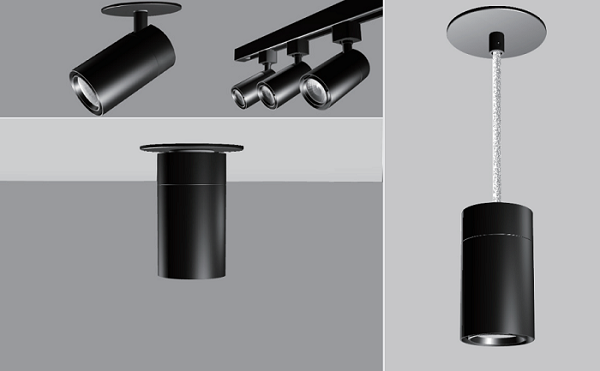 Provided with a high flexibility of multiple installation options such as ceiling mounted, track-mounted and pendant ways, this track head kit is the good choice to replace your existing track lighting lamps for offering aesthetically pleasing lighting at different positions and angles. 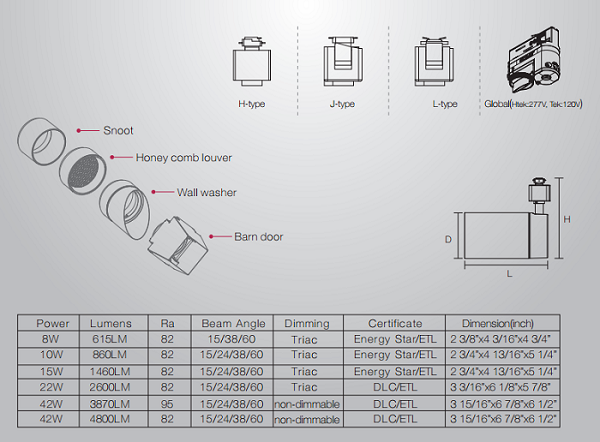 It also comes with various lighting distributions of 15°,24°,38°,60°based on optional light lens. 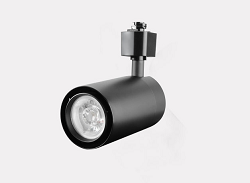 Such track heads series are also equipped with black anti glare bracket to achieve glare-free and high quality lighting for variety of environments. Applications: Ideal for use in variety of environments in retail shops, galleries, museums, residences, hotels and bars, etc. • Equipped with modular design with interchangeable components of optics, light engines, led drivers, adaptors and lens. • Excellent color quality with a high CRI of 82(CRI95 is available). • Track heads are independently adjustable with multiple options of track-mounted, surface-mounted and pendant installations. • Triac dimmable track head, compatible with both ELV and MLV dimmer. • Finish: White, black, silver. • Installation: Track-mounted, ceiling-mounted and suspending.